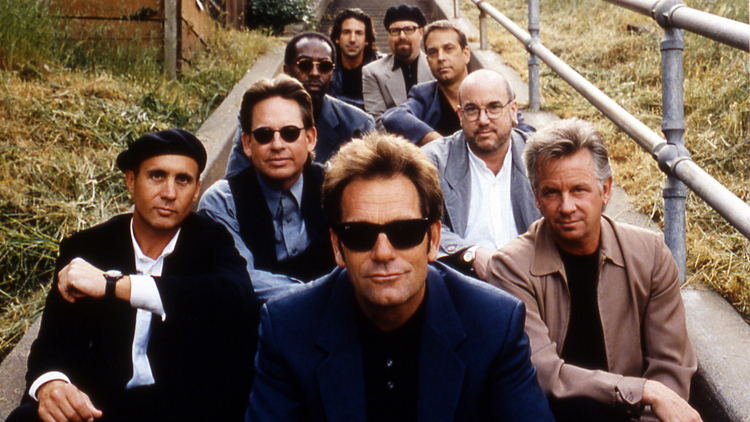 In 1972 Huey returned to San Francisco after hitchhiking through Europe with his harmonica. He and Sean Hopper joined a country-rock band called Clover. At a nightclub in Los Angeles (1976), Clover was spotted by English singer/producer Nick Lowe and Jake Riviera who then took the band to the U.K., but Clover disappeared in the punk fever that had gripped Europe at the time. 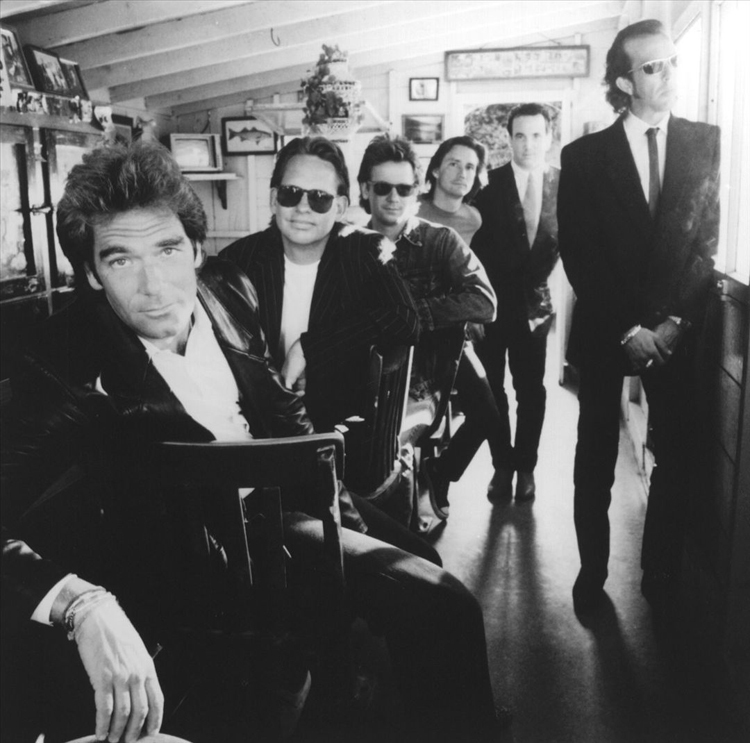 In 1978 Huey was playing at Uncle Charlie’s, a club in Corte Madera, California, doing the ‘Monday Night Live’ spot, along with future News men. After recording the song ‘Exo-Disco’ (a disco version of the theme from the film ‘Exodus’) Huey got a ‘singles contract’ from Phonogram Records, and Bob Brown became Manager. Members of a jazz-funk band called Soundhole, which had been a rival band of Clover, were recruited for the band. They included: Johnny Colla (sax/guitar), Bill Gibson (percussion), and Mario Cipollina (bass guitar). 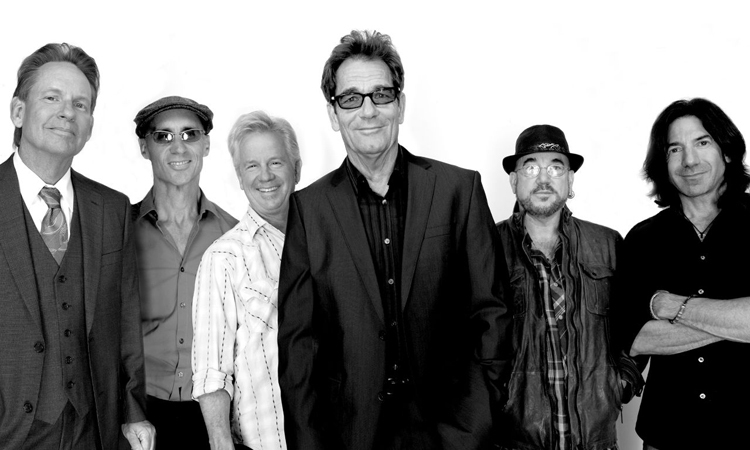 These musicians, along with Huey (lead vocals) and Sean (keyboards), only left room for a lead guitarist. 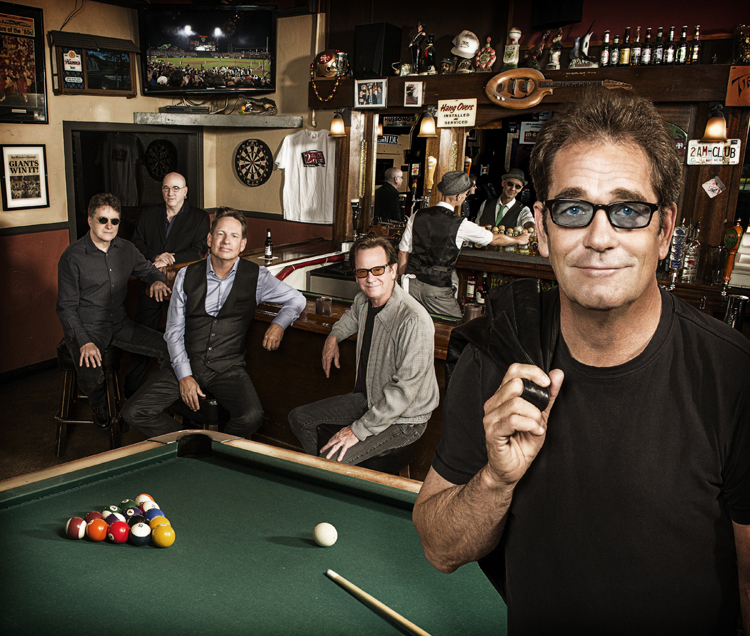 For that task Huey wooed Chris Hayes, a brother to gifted San Francisco performer Bonnie Hayes. By this time (1979), there was a band and a recording contract, but no name. 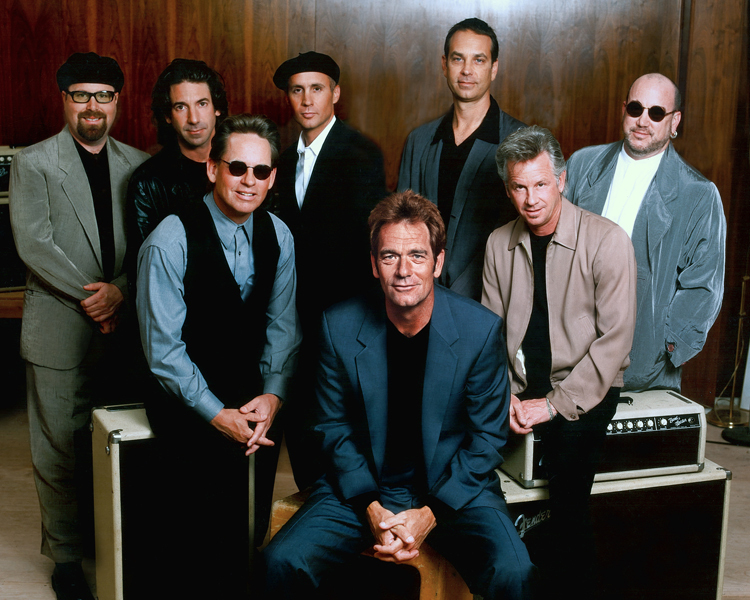 They originally called themselves Huey Lewis and the American Express. 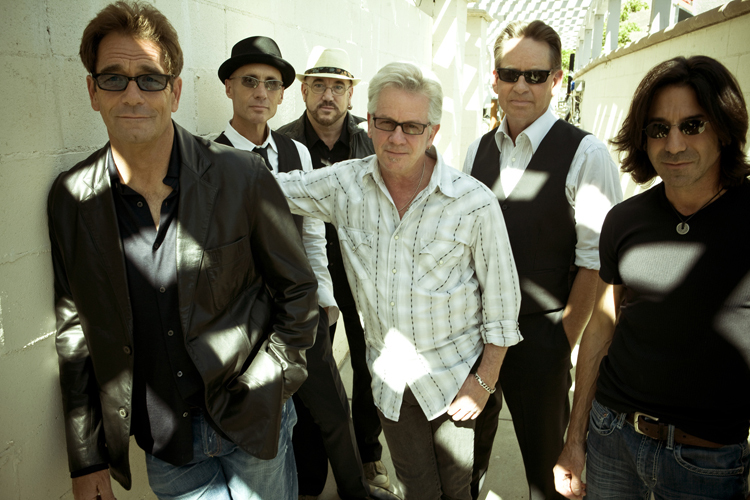 After further consideration of this name, they changed their name again to Huey Lewis and the News (HLN). At the beginning of 1980, HLN got a record deal with Chrysalis records and released their self-titled debut album. 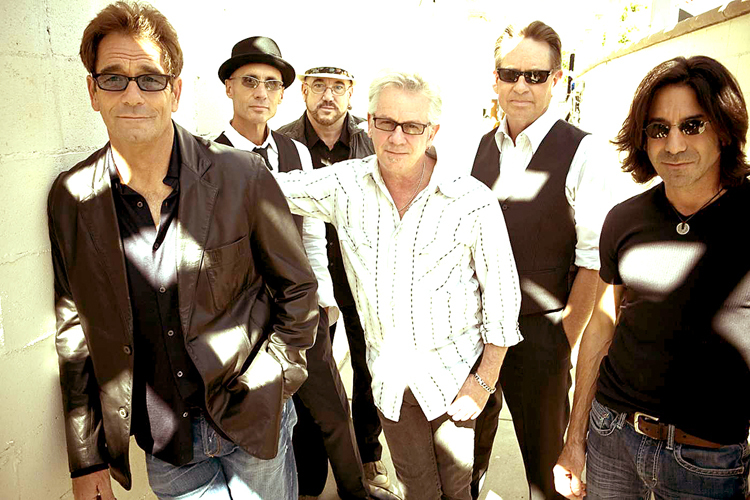 It was soon followed by “Picture This” which featured their first top 10 hit, “Do you Believe in Love.” This album remained on the Billboard charts for 35 weeks and peaked at #13. 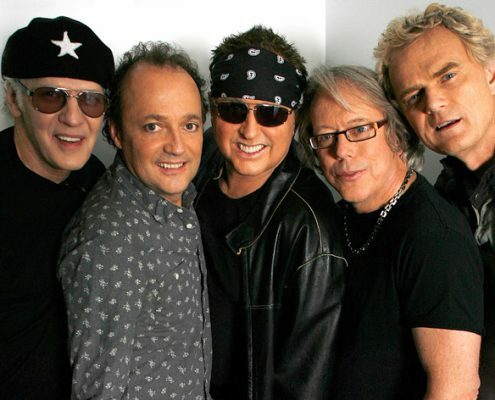 By this time, the band had appeared on shows such as “Fridays,” “Solid Gold,” and “American Bandstand.” In late 1982, their record label delayed the release of their third album, putting HLN back to square one. They then went out on a bus tour of small clubs. Shortly after this, “Sports” was released. In June 1984 the album hit #1 on the Billboard Charts! HLN continued to tour extensively, often setting attendance records in cities, and collecting the perks and awards that are attached to a million-selling, #1 album. In fact, they opened the 1985 Grammy Awards with “The Heart of Rock and Roll.” In October 1985, “Sports” was certified multiplatinum in the US and Canada, silver in the UK, and gold in Australia. A few months later, the album went gold in Japan as well. “The Power of Love” written for the movie Back to the Future, became the band’s first #1 song and was even nominated for an Oscar. Also in 1985, the band participated in the USA for Africa recording of “We are the World.” The band also picked up several American Music Awards for their talents! 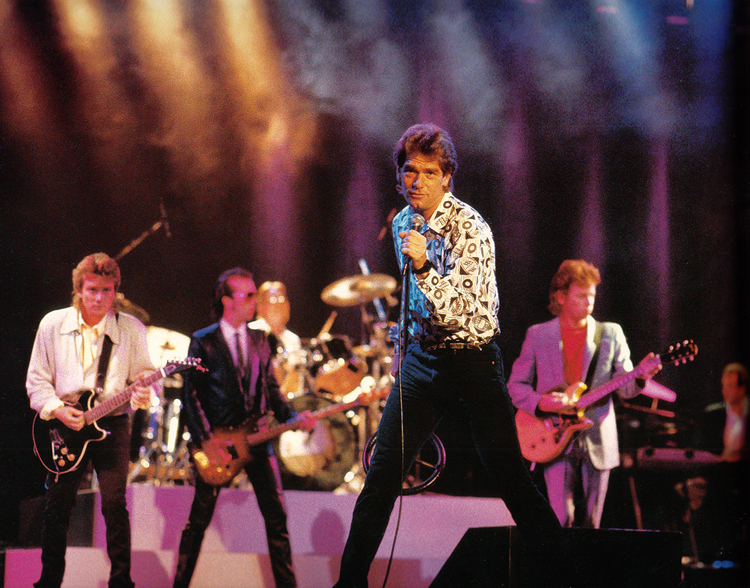 In 1986, the band received the BPI award for “Best International Artist of the Year” in London. They also received a total of eight awards at the 9th annual “Bammies” in San Francisco. In August 1986 “Fore” is released and climbs to the #1 spot on the Billboard charts also! To meet the demand for the band, they went back out on the road, playing in large venues and stadiums. 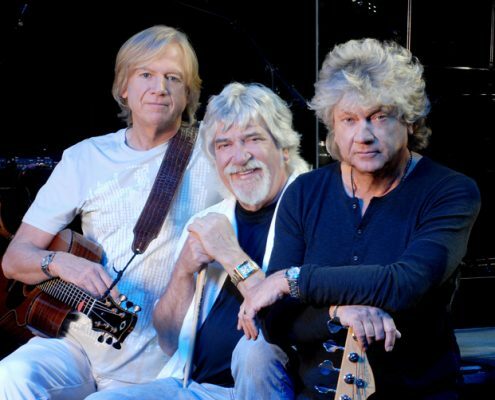 Now with those two critically acclaimed albums under their belts, totaling 15 million albums worldwide, the band felt able to relax during the making of their next album. In July 1988, the band released “Small World” which took them in a different direction. This album was more jazz/reggae/ska oriented as opposed to their usual good ole American Rock-n-Roll sound. The band continued to tour, but then they took a break and decided to change labels. 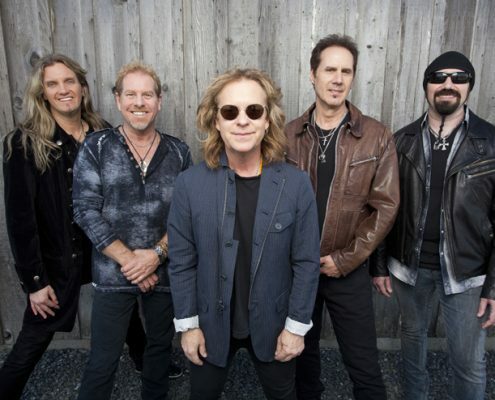 The guys took their time writing the next album and in 1991 the band released “Hard at Play.” The songs on this album were basically written from all of their cumulative experiences through the years. After its release, the band launched yet another international tour. 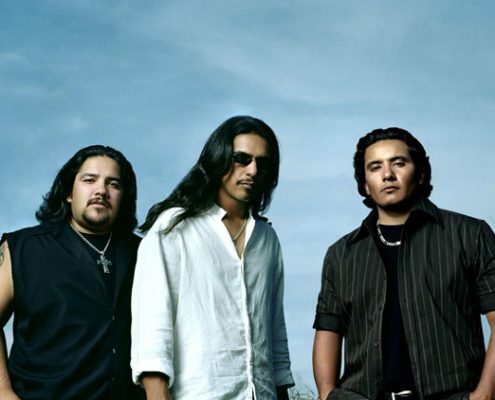 The band again changed labels and then released an album that celebrated the roots of music. “Four Chords and Several Years Ago” features many great cover tunes. Also around this time, the band added the great sounding “News Brothers” (horn section including- Marvin McFadden, Ron Stallings, and Rob Sudduth) and the new bassist, John Pierce. Although the band continued to tour, they began to restrict heavy touring to the summer months. In 1996, “Time Flies – The Best of HLN” was released. This album features many of the great hits and several of the band members favorite tunes. Also included on this album were four new songs written by the band. 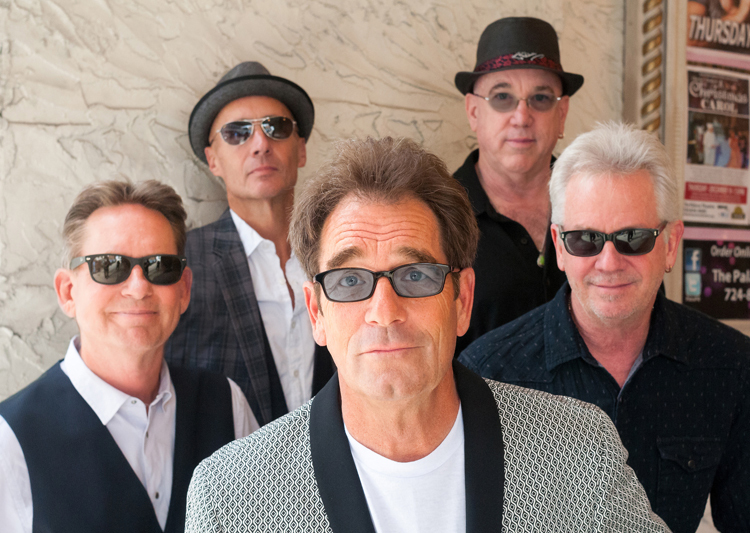 Huey Lewis and the News still perform 60 to 70 live shows each year, doing most of their touring in the summer months and thrilling fans with their preference for smaller venues that accentuate their music rather than an elaborate stage show.